Highlights of Brighton's 2-1 win over Fulham from Craven cottage. Brighton secured back-to-back victories as an injury-time penalty from Tomer Hemed ensured a hard-fought 2-1 victory against Fulham at Craven Cottage. The victory follows Brighton's 1-0 home triumph against Nottingham Forest on the opening day of the season while Fulham have amassed just one point from their first two fixtures. The match was heading for a draw after Tom Cairney's sublime first-half strike cancelled out Sam Baldock's opener for Chris Houghton's visitors. 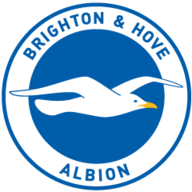 It was Brighton who showed greater attacking intent from the start. Beram Kayal unleashed a shot after a clever lay-off from Hemed but Fulham goalkeeper Marcus Bettinelli was down well to save. The visitors were even closer just two minutes later. Bruno's pass was hit first time by Kayal and his superb effort from just outside the box curled, dipped and crashed against the crossbar with Bettinelli well beaten. 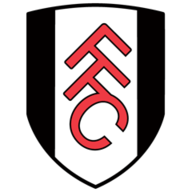 Fulham's last six league games at Craven Cottage saw them concede 18 goals and Bettinelli, who signed a new four-year contract before the match, was by far the busier of the two keepers. It was little surprise then that Brighton took a deserved lead on 30 minutes. Attacking full-back Bruno Saltor clipped an inviting ball into the box from the right and Baldock's instinctive first-time finish nestled into the bottom corner. A second goal almost followed just two minutes later. Kazenga LuaLua, a lively box of tricks on the left, whipped in a near-post cross and retreating defender Shaun Hutchinson shaved the outside of his own post as he hacked it to safety. It took a genuine moment of quality for Fulham to level the scores on 44 minutes. Cairney collected a pass from Lasse Vigen Christensen on the left and the former Hull and Blackburn midfielder, who joined in the summer, curled a delicious effort into the top corner from 25 yards. The home side almost went ahead on the stroke of half-time when Matt Smith, who has four goals in his last six games for Fulham, powered a header from Cairney's cross against the base of David Stockdale's post. Houghton's side continued to press though and LuaLua came close to giving his side the lead once more as he cut in from the right but his 20-yard effort fizzed narrowly over the bar. Stockdale, playing against his former club, was at his best on 67 minutes as he showed great agility to tip Smith's close-range effort over the bar. Smith proved quite a handful for the Brighton defence and he missed a golden chance on 76 minutes as his free header from Ashley Richards' cross was straight at Stockdale. But deep into injury time LuaLua tricked his way into the box and Hutchinson lunged in. LuaLua tumbled, the referee pointed to the spot and Hemed casually sent Bettinelli the wrong way from the spot. "I have seen the penalty back a few times and it's very difficult to call. Possibly the initial contact was just outside but he is travelling at pace and it's quite hard to tell even stopping and rewinding it back from a couple of different angles, it's hard to tell. I have no arguments with the award of the penalty but I have a few arguments with the defending that gave it away." "My first impression was that it (the penalty) was in the box. The referee took a moment to think about it. We are not sure if he got guidance from the linesman or not but that was my first impression. I thought we deserved the win over the 90 minutes."